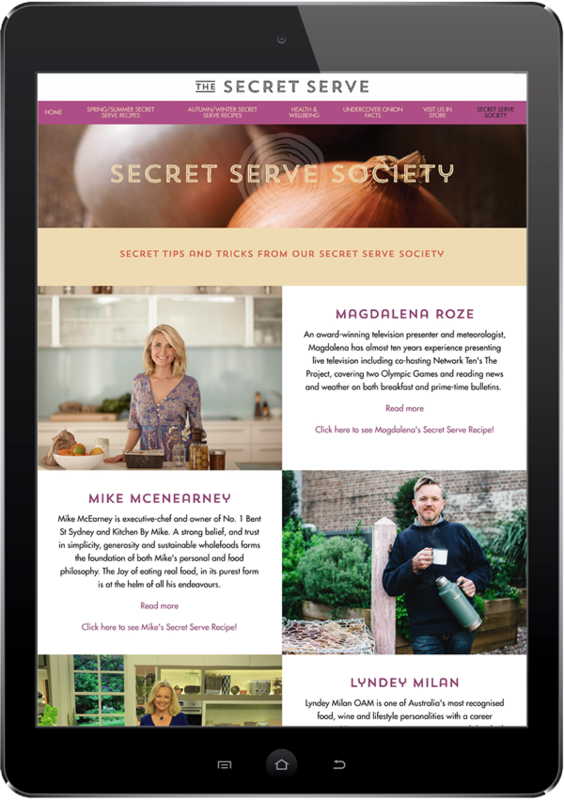 The Australian onions ‘Secret Serve’ marketing campaign was launched by Horticulture Innovation Australia in May 2016. Based on research that suggests 94.6% of Australian children aren’t getting the recommended daily serves of vegetables, the campaign focuses on the creative use of onions in everyday meals. Onions Australia consulted widely with growers around Australia for more than two years before a vote on changes to the statutory levy took place in 2011. New legislation came into effect from 2014 which saw levy funds allocated to marketing. Approximately $200,000 has been allocated towards marketing each year until 2019.